The Reader Bee: It's Monday! What are you reading?? It's Monday! What are you Reading is a weekly meme hosted by Book Journey. Each week we will share books I've read, started, and/or plan to start. I'm actually hoping to get more reading than this done this week, but we will have to see how it goes! What are you reading??? I'd love to know! I'm interested in comparing your thoughts on Wrapped with my own. Enjoy your week! This week I finished up the manga I had on hand. I typically read an issue over my morning cup of coffee. Come see what I'm reading this week. I love that you link to the books on goodreads :) I do the same thing, I feel like it's so much easier if someone wants to look the book up or add it to their lists! I've had Something Like Fate on my list for awhile, I'll have to pop over to your review! Please feel free to stop by my Monday here. I'm curious about the Wrapped book. I keep seeing it around and the cover looks good. Right now I'm reading Dead Until Dark by Charlaine Harris, and not sure what I want to read after. Oh I really like Mercy and am looking forward to the next books in this series. I have also been wanting to read Wrapped. Hope you enjoy it. Have a great week! 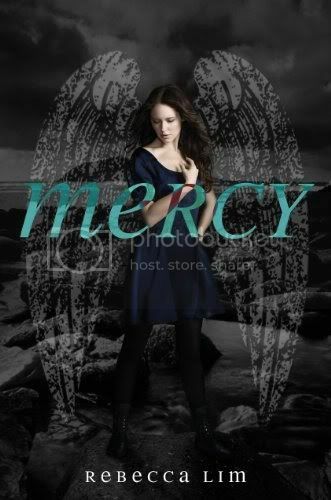 I like the cover for Mercy! Couldn't decide if I wanted to read it on NetGalley or not though! I want to read MERCY. I can't wait to read your review. I'm not familiar with Wrapped but it looks really interesting. I have to admit I'm not usually a can of cartoon-like covers, but I really love this one! It is on my TBR list now! I hope you have a wonderful reading week! I can't wait to read to read Mercy!! I've got Mercy on my tbr pile. Looking forward to hearing your thoughts on it. Have a fab week! See what I'm reading here. I loved Mercy, hope you do too. Have a great week, I too am hoping to do a bit more reading than I have been.